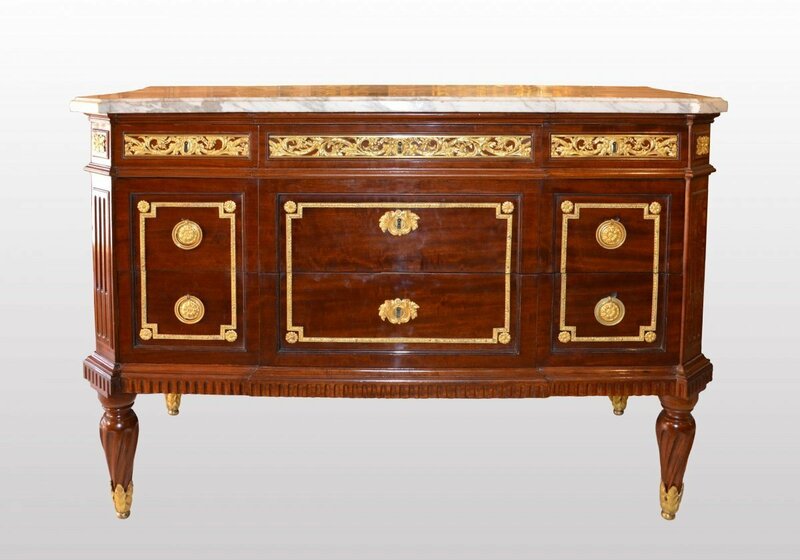 A Louis XVI ormolu-mounted and mahogany Commode. 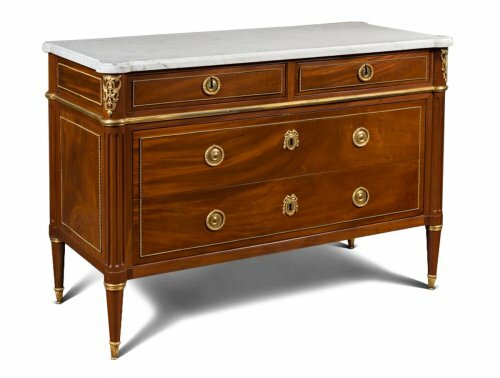 The rectangular shaped and molded grey-veined white marble top, above one long and two short frieze drawers mounted with foliate bronzes, above two long drawers mounted sans traverse with a carved surround and with foliate keyholes, flanked by fluted corners headed by paterae, on turned tapering legs terminating in scrolling sabots. 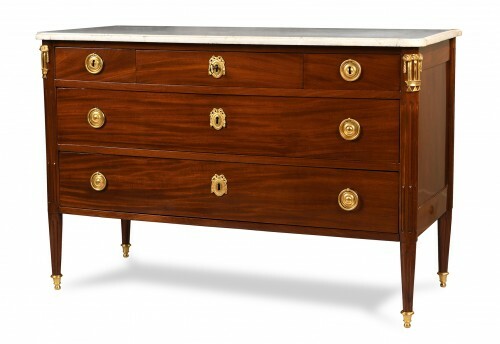 Our commode is the result of two great and famous ebenist's collaboration. 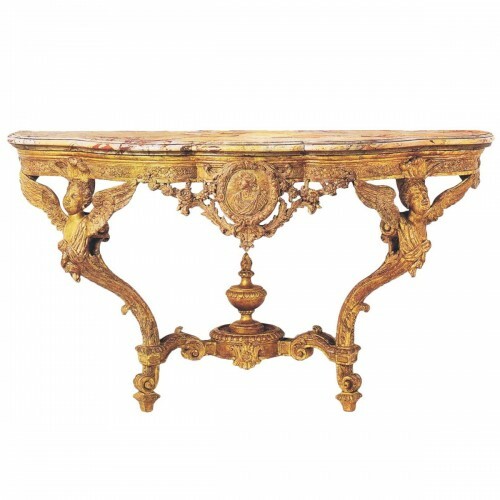 Made by Jacques van Oostenrijk, known as Dautriche, it was commercialised by Mathieu-Guillaume Cramer. 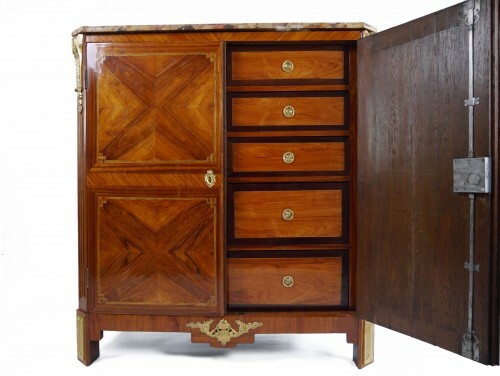 A few years after having become a Master, Mathieu-Guillaume Cramer settled rue du Bac as a cabinetmaker-merchant and then got some of his colleagues working, like Jacques Dautriche. Our commode is characterised by a sober and well-balanced outline, as well as a great neoclassical giltbronze ornamentation. 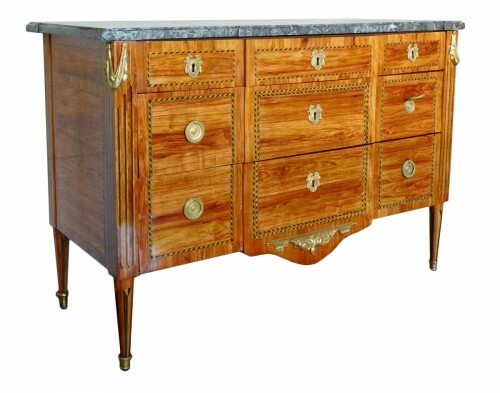 Jacques Dautriche used to produce high-quality furniture, sometimes even masterpieces. He had the huge capacity to adapt himself and his work to the stylistic evolutions of the period. 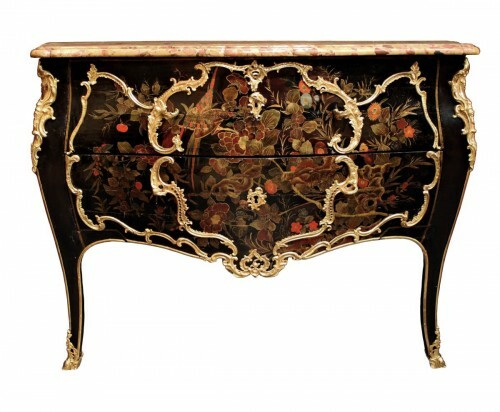 During the first part of his carreer, he produced furniture with geometric or floral marquetries; his second part of carreer was much more influenced by the new aesthetics, i.e. the neoclassical one. 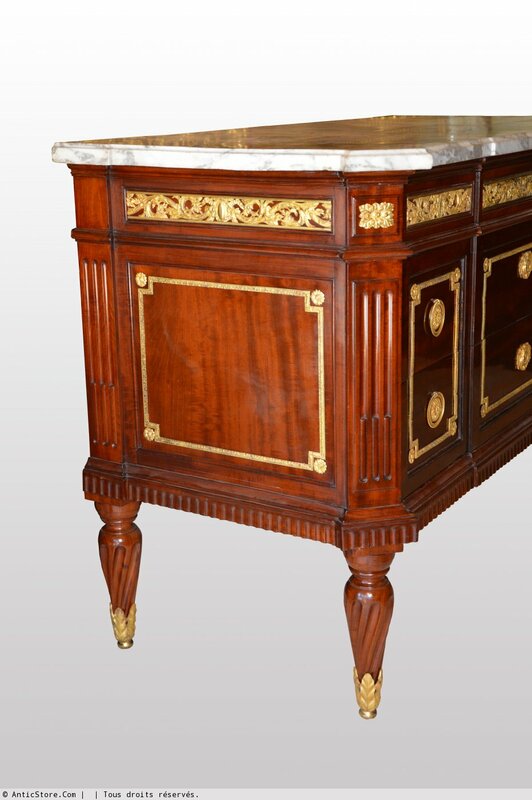 The completion of this period was the production of mahogany furniture, like our commode. In his work about the 18th century ebenists, Count François de Salverte describes a similar commode, which belonged to baron de Beurnonville's collection. 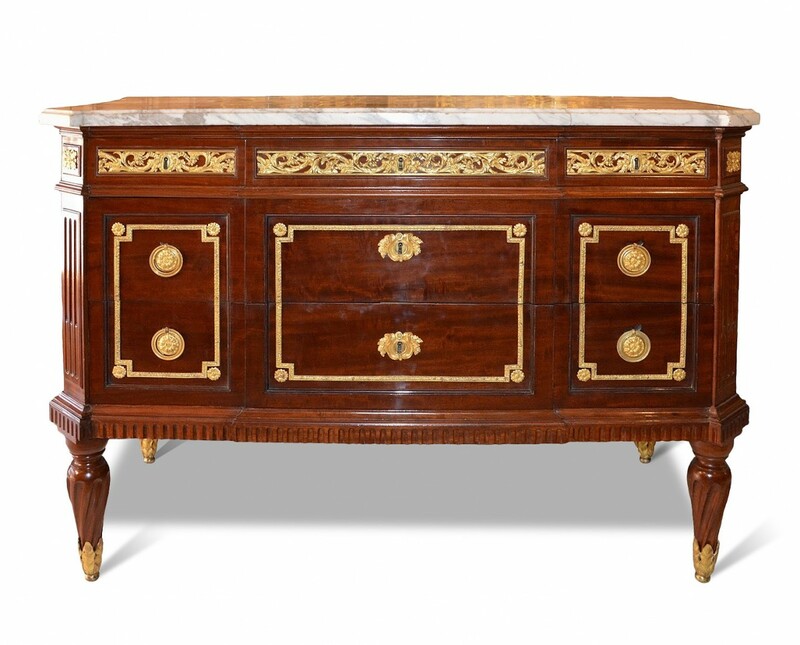 Another similar mahogany commode, sold in Paris in June 1936, is mentionned in Jean Nicolay's work. 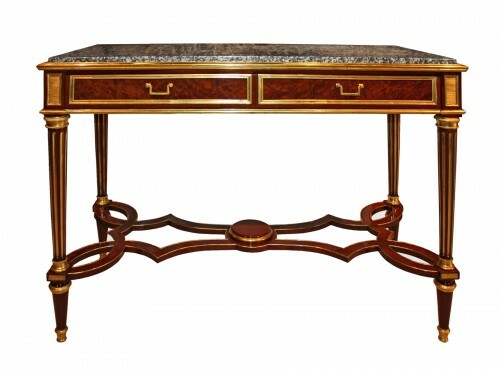 To finish, more recently, one was found in a private Parisian collection.